Although we've all experienced creaky joints and soreness at some point in our lives, these experiences can transition from seasonal pains to a more serious condition: arthritis. Today, around 50 percent of people 65 years and older have had a doctor diagnose this illness, according to the Centers for Disease Control and Prevention. Low impact exercise can relieve arthritis pains. Arthritis is marked by joint pain, swelling, tiredness and reduced overall flexibility. Medication can help with these side effects, but so can the right kinds of physical activity. 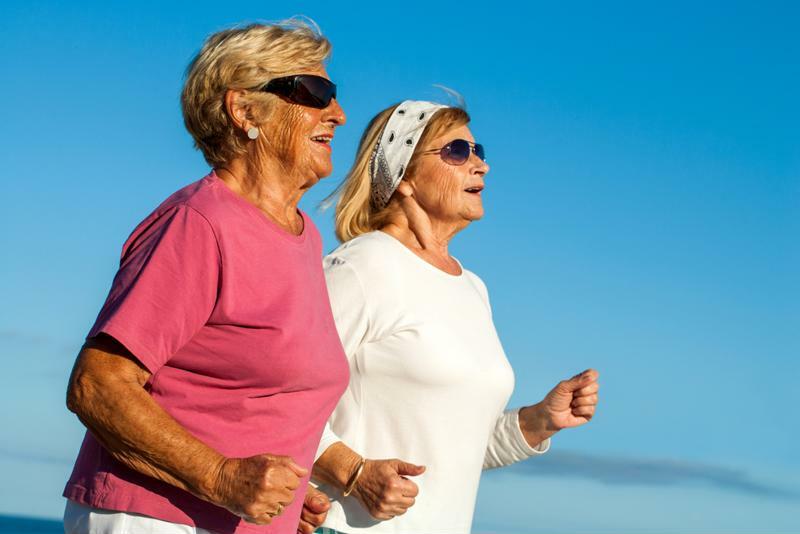 Since fatigue is always a possibility with seniors, especially those with this condition, the Mayo Clinic recommended exercises that are fairly low-impact on the body and focus on range of motion, endurance, body awareness and strength. Activities such as yoga, stretching, walking, swimming and light weightlifting are good places to start. The key to living with arthritis is finding a level of comfort people can handle. To help, doctors may suggest patients with this condition change their diet to include items that lessen the chance of inflammation. That means reducing intake of salt, sugar, gluten, alcohol, and trans and saturated fats, according to the Arthritis Foundation. This can be a challenging endeavor, so seniors should try to focus on cutting out the ingredients that they know tend to cause the most serious problems. Older family members dealing with this disease can ingest these items in moderation, but should be aware that reintroducing them into their systems after a period of complete elimination can result in sickness. There's a reason why a warm or hot shower feels so wonderful after an intense workout. The heat can reduce stiffness in a person's joints and leave them feeling refreshed. Seniors with arthritis can use temperature-based techniques as therapy for their condition, according to Healthline. While high-temp baths in the morning can set them up for success for the rest of the day, a heating pad or electric blanket can work wonders at night. Don't forget the benefits of cold on inflammation. An ice pack on especially inflamed joints or painful areas of the body can reduce the aches and provide a sense of relief to seniors with arthritis. "Assisted living communities can deliver the care necessary for people with arthritis." Whether family members have arthritic seniors living in their homes or are simply visiting on a regular basis to provide care, the situation can become challenging – especially if the condition continues to worsen. To ensure loved ones are receiving the level of help they need, people could consider an assisted living community. These homes offer seniors a group of neighbors dealing with similar issues as well as the medical assistance necessary to ease the pain of arthritis. Depending on the severity of the condition, older loved ones can live in a more independent community or one that provides more around-the-clock care. Arthritis is a tricky condition. Some days are worse than others and side effects can become increasingly aggravated due to certain activities or foods. Talking with a doctor is a good first step for seniors experiencing this illness, but asking for assistance from friends and family can also help family members feel supported. If loved ones and seniors struggle to find a balance of care, assisted living provides a community of caregivers and peers that can also aid seniors.